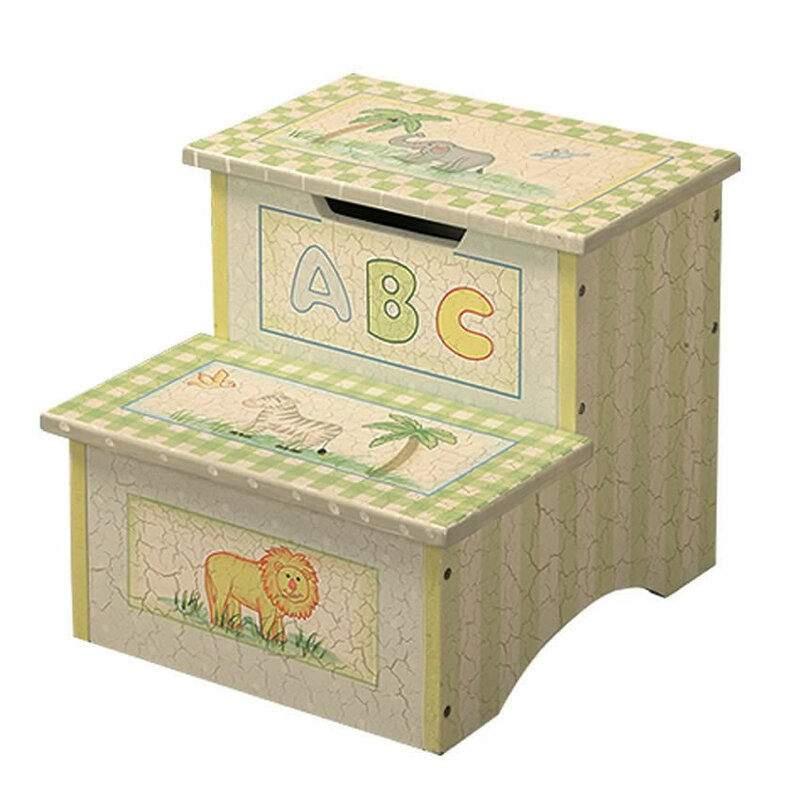 Safari Jungle Step Stool - Are you looking for quality and fine craftsmanship? 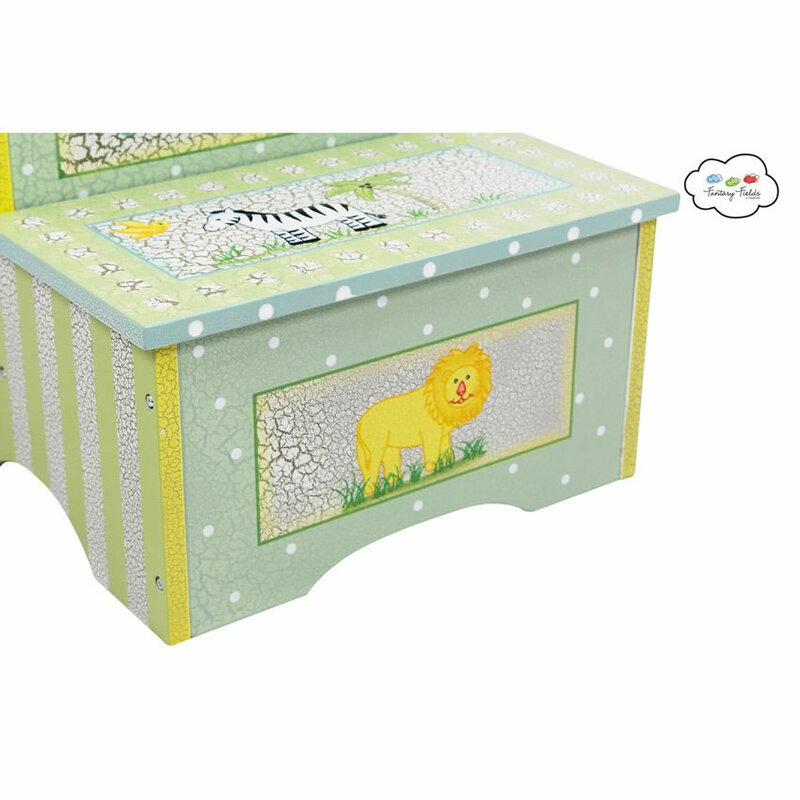 Look no further with our Crackled Safari Step Stool. 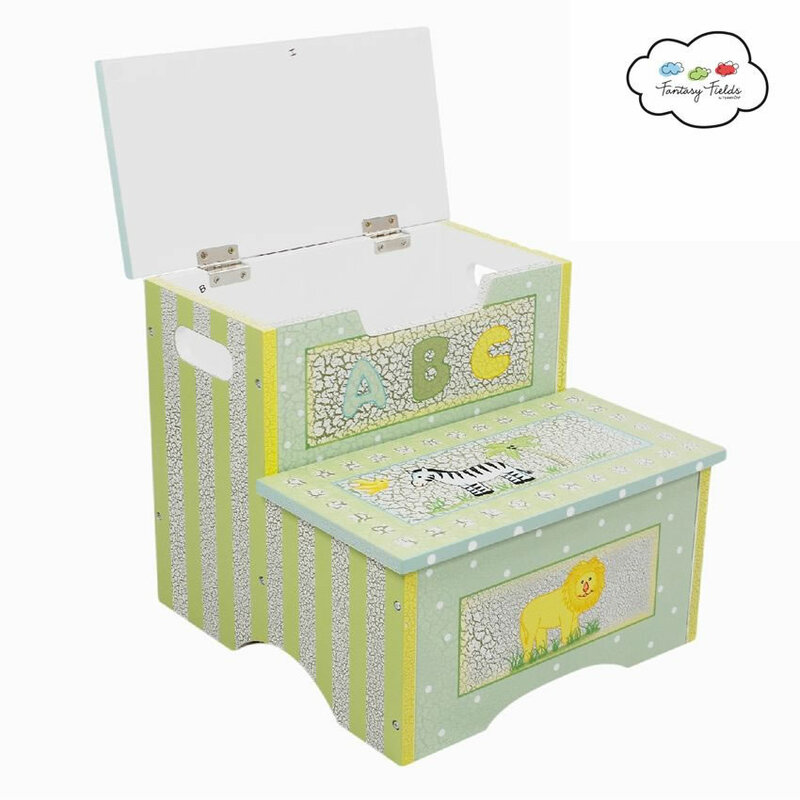 Hand painted and crafted with designs of elephants, lions and trees, this step stool offers an attractive appearance as well as multiple features! 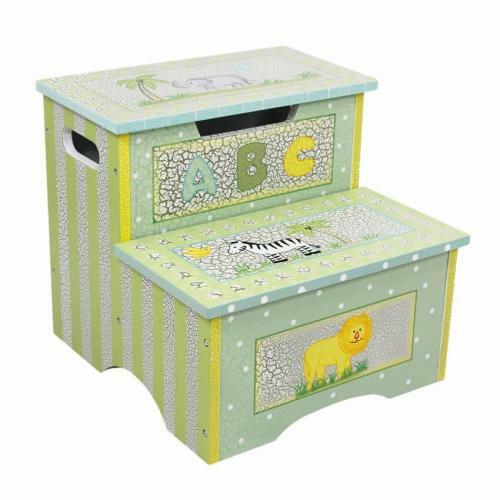 Not only can your child use this stool to reach things up high, but they can store small belongings underneath the top step that pops up to reveal a storage area. 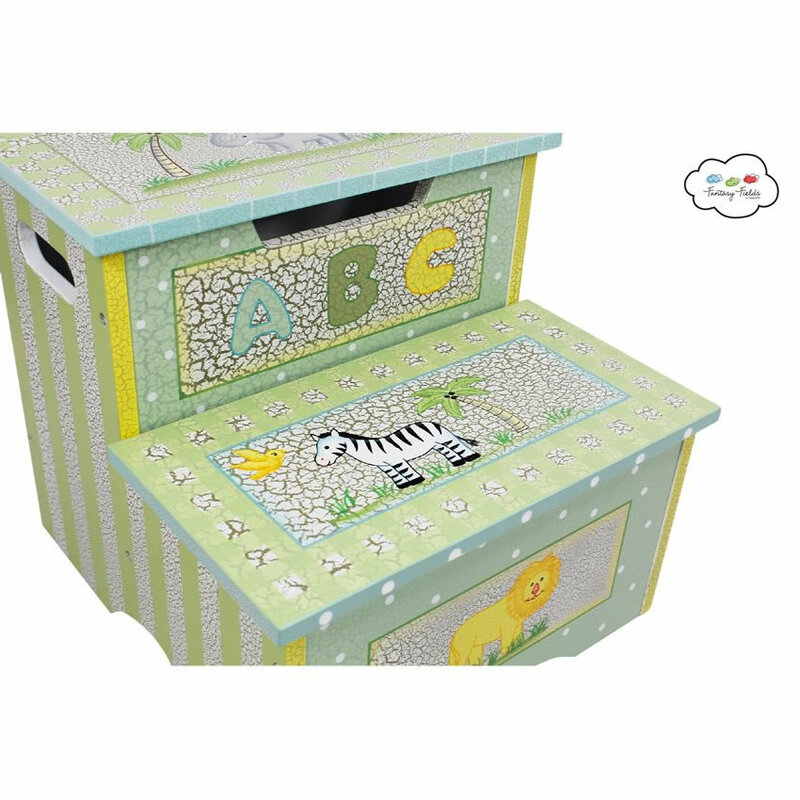 Crackled look offers a vintage effect, but make no mistake about it, this product is made from quality wood and built to last. Some assembly required. 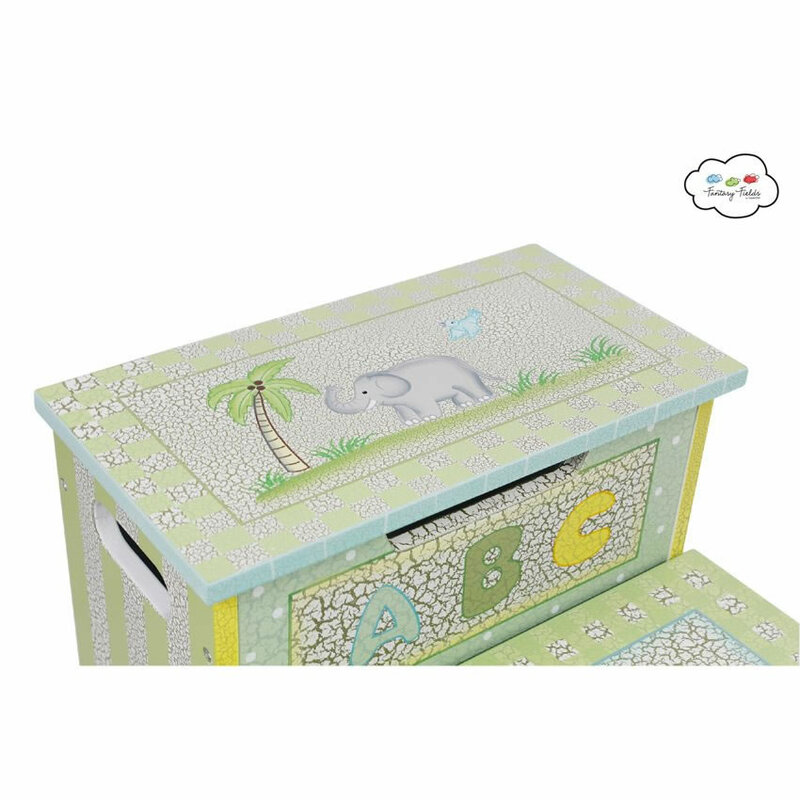 Perfect for ages 3 and up.